The Lotus Bassinet is free-standing bassinet that works with the Lotus Everywhere travel crib. This bassinet has breathable mesh sides and uses Greenguard Gold standard certification materials creating a healthier sleep environment that you can keep near your bedside. The Lotus is a high-quality product that feels sturdy and durable, and we think parents will love that it can be used as a travel crib as well. The Lotus is easy to set up and can be moved from room to room even if it isn't intended for this. This product may not be the best option if you want to stay in bed and reach baby in the bassinet, but if you are looking for a versatile product with a stand-alone bassinet, then the Lotus may be a good pick for your baby. The Lotus bassinet is an attachment accessory for the Lotus Travel Crib. Guava is a family run business with the goal of making parents' lives easier and more efficient. The company believes that "life should be spent together." Their designers create gear with safety and ease of use in mind. The Guava company believes that products need to be safe enough for their kids before they offer for others. Guava puts their gear through third-party testing when it is possible and use high-quality materials whenever possible. In order to use the Lotus Everywhere Travel Crib as a bassinet, you MUST purchase the travel crib and the bassinet either as a bundle or separately with the bassinet conversion kit. The chart below shows the overall scores for the bassinets we tested for this review compared side by side. The sections below provide information on the Lotus's performance compared to the competition. Emphasis was placed on ease of use and breathability when calculating the overall scores. The Lotus bassinet is more difficult to use than much of the dedicated bassinets we tested. The Lotus scored a 5 of 10 for ease of use. These are functions and features that impact your daily use of the bassinet. You can reach inside the Lotus while still in bed, but it is more difficult than the true co-sleepers we tested. The overall larger size makes this one hard to use right by your bed. The depth of the bassinet is shallow compared to the competition and lower than most making it hard to reach from your bed even if you manage to situate closer to you. This option works best as a free-standing bassinet. It is difficult to get the legs of the Lotus through most interior doorways but they do move inward at the hinge points to make it easier. With a weight of 13.9 lbs, the Lotus is relatively light. It measures 25.5"H x 47.9"L x 32.1"W when open which makes it somewhat wide for interior doorways, but the legs can bend in or you can tilt the frame to walk it thru. It doesn't have wheels and it isn't really meant to be moved from room to room but you can if you need too. It is, however, great for travel folding easily and fitting inside its travel bag with backpack style straps. The wide legs on the Lotus can be unlocked and bent to fit the bassinet through doorways. This bassinet is a travel crib at heart and comes with a carry bag so you can take the Lotus on the road with you. It took us 10 minutes and 47 seconds to turn the Lotus from a travel crib to a bassinet. All you need to do is remove the fabric of the crib from the frame and attach the bassinet to the top rails. This product has machine washable fabric that hangs to dry. The frame can be cleaned by wiping with a wet towel or mild soap if needed. The Lotus earned a 9 of 10 for breathability. This product has mesh sidewalls, four nylon straps on each side, and a fabric roll over top. The part that baby will come in contact with is very breathable and we don't feel the straps pose a risk given their smaller width. The mattress pad on the Lotus bassinet is thicker than the other travel crib options in the bassinet review. The Lotus earned a 4 of 10 for the sleeping surface. The Lotus bassinet mattress is one inch thick (the maximum allowed) and highly compressible. It shifts in the frame despite a Velcro connection and the mesh on the sides of the mattress gives when we press on it. The Lotus mattress attaches to the sleeping area with strips of Velcro that keep it from shifting during use. The Lotus scored slightly above average for quality with a 7 of 10. This is still pretty good for the price, only one other product we reviewed came out with a higher score at a lower price. Both the mesh and the fabric on the crib seem very solid and durable. We didn't notice any loose stitching or possible issues with the fabric. The stitching attatching the handles to the travel bag did begin to stretch from the weight of the crib after minimal use, and this could potentially become a problem down the road. The frame does wobble slightly if bumped, but it holds steady when you press on the top rails. The Lotus is made using materials that are more natural or limit off-gassing compared to the competition. The Lotus earned a 6 of 10 for eco-health. This score is the highest for the metric where the bassinets all struggled to offer truly eco-healthy options. This product is GREENGUARD GOLD certified in the world of chemical emissions standards. It is guaranteed to be free of harmful substances such as lead, PVC, Phthalates, Formaldehyde, and Heavy Metals which is a level of responsibility not shared by all of the competition. The Lotus meets all the flame retardant standards without using additional chemicals which helped its eco-health score, but the vague language of their email response of not "adding" chemicals made us wonder if the materials come to them already treated as they did not say "chemical free". Guava offers more transparency in their material and production than most of the competition, something we like to see when it comes to any baby gear, but especially gear that babies sleep on. 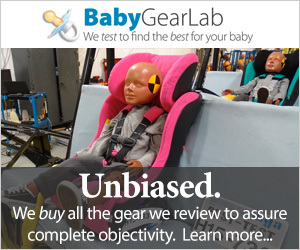 This bassinet earned points for the GreenGuard certification and lack of added chemicals, but it lost points for using polyurethane and vague language potentially intended to mislead parents or "greenwash" the product. They do state the mattress is "low VOC" but given the lack of standard definitions of this phrase we are still left wondering what this means and feel a naural mattress would be better.